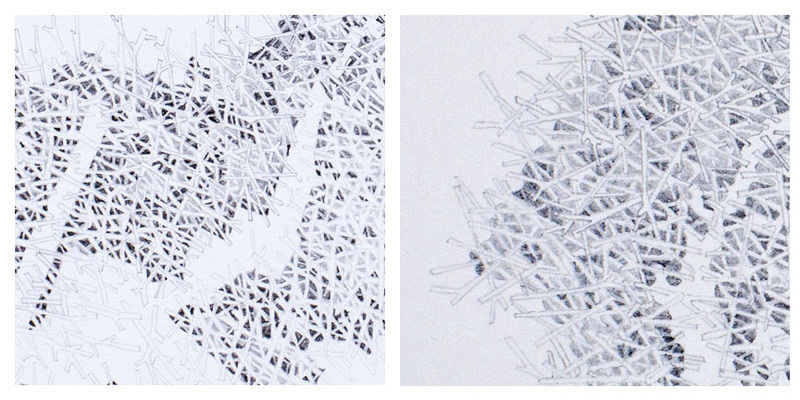 My Watershed Topography series is a group of drawings that present an alternative set of borders for familiar landscapes. Although appearing initially as abstract forms, these dense branching masses actually depict a bird’s eye view of hydrologic structures defined by rainfall and the flow of water across land. 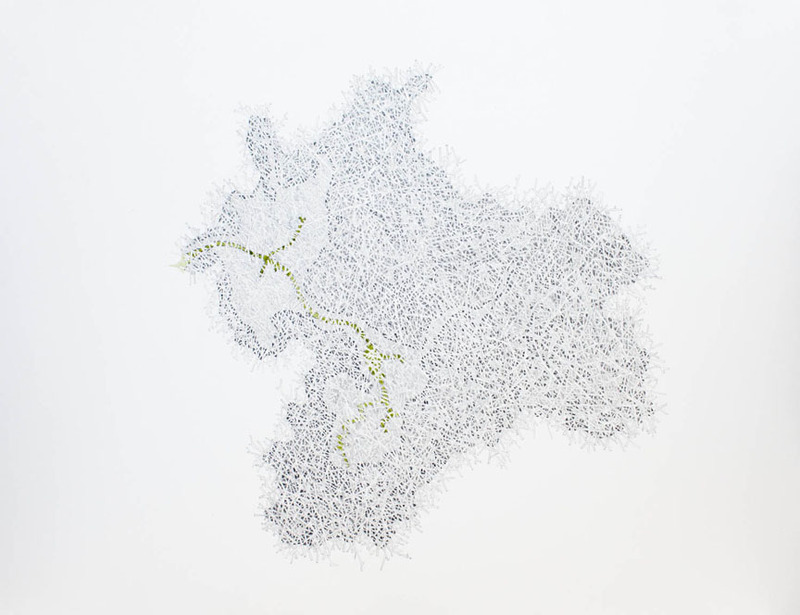 The Hudson River Suite is a set of three drawings based on the boundaries of the Hudson River Watershed, including its headwaters, estuary, and overall footprint. 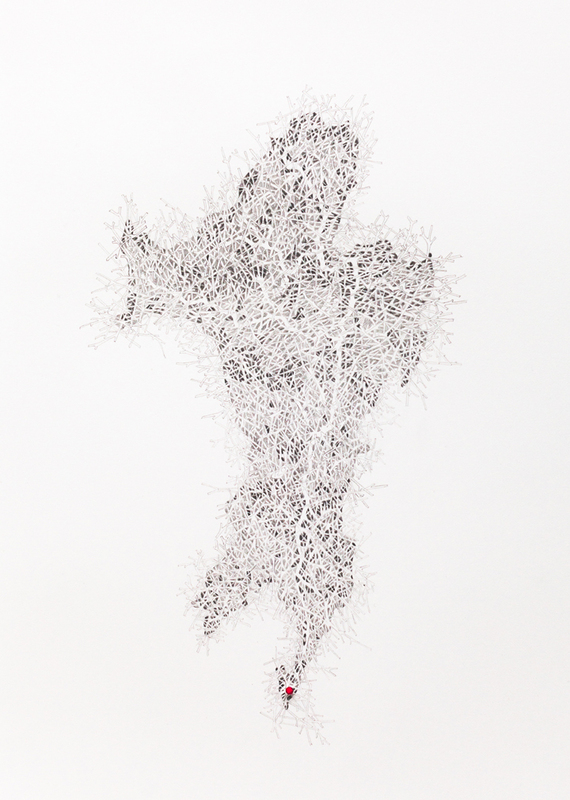 Each drawing is made up of a dense, interwoven structure of tributary-like forms, suggesting the extreme complexity of water systems and of ecological systems more generally. Also in this series is a new group of works called the “Ghost Estuaries”. 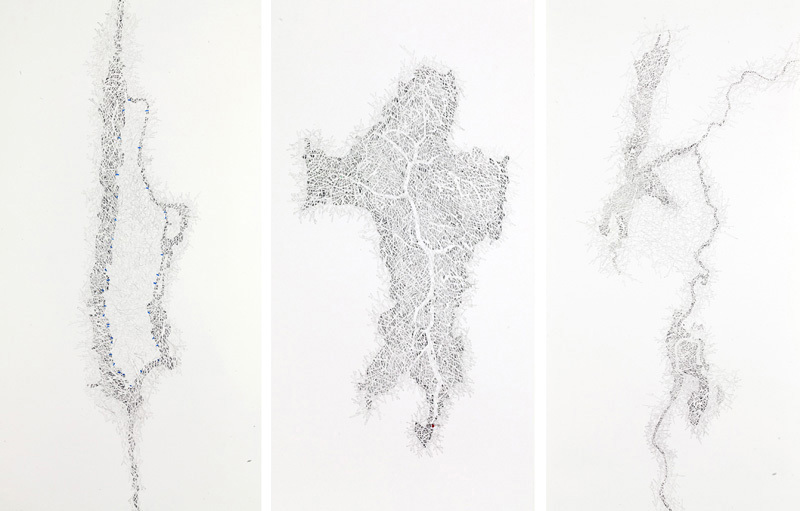 These drawings depict the historical footprint of tidal estuaries laid over their current, industrialized topographies. 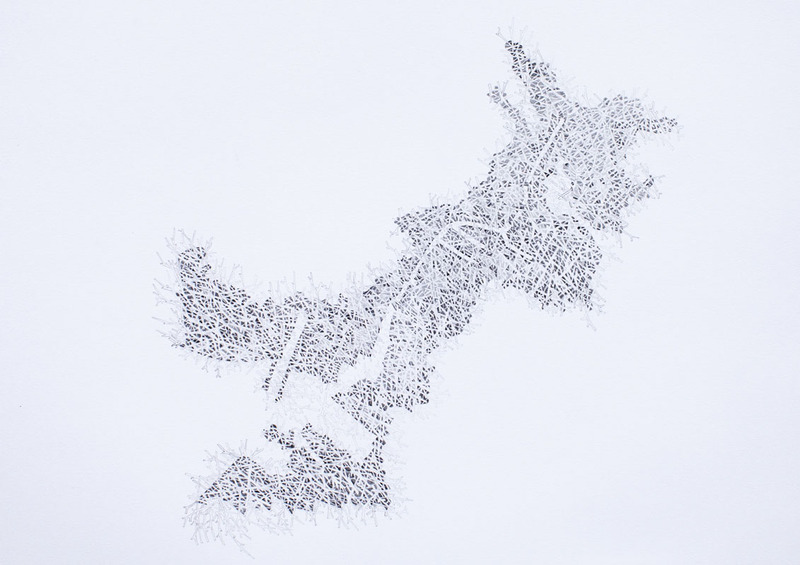 Included is a drawing that depicts the historic drainage basin of the Gowanus Canal laid over its current post-industrial structure. I am in the process of creating similar drawings of Newtown Creek and Flushing Creek based on historical maps and data provided by the Welikia Project and Wildlife Conservation Society.